Perimeter Security Industries has now successfully miniaturised the SecureMat® sensor so that it can be embedded inside the sensor mat. 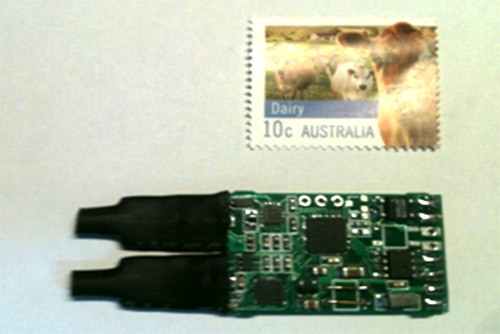 A number of prototypes were designed and tested during 2013, culminating in the new sensor (pictured) that is about the same size as a postage stamp. The new “embedded sensor” will replace the previous system of black boxes – one for each mat and one for the “controller” – that were cumbersome to lug around and difficult to install.